Who deserves to be win Hearts’ Player of the Year award? Joel Sked looks at the candidates. The news that Steven Naismith, Christophe Berra and Arnaud Djoum are amongst the candidates to be crowned as the club’s best player this season has prompted much debate, namely the inclusion of last season’s winner Berra. The centre-back has continued to grow as defender, earning his first international caps this season. There can no longer be accusations of being a flimsy or soft defender. He put in an excellent performance in the win over Celtic in the opening weeks of the season and his standards have rarely dropped below ‘good’. He’s missed a chunk of the season through injury but returned to the team with ease, putting in an exemplary display against St Johnstone in January which included a delightful assist. Fans rejoiced when he signed a new deal until 2022. The surprise inclusion among the potential candidates. The inspirational captain deservedly walked away with the prize last season for his consistency and holding the team together. Understandably supporters were left deflated when it was announced he would miss a sustained period of the season when he picked up a serious thigh injury against Celtic in the second game of the campaign. He returned sooner than expected but has yet to find the consistency of old. Was bullied by Alfredo Morelos in defeat to Rangers at Tynecastle, while his use of the ball has frustrated team-mates. The Northern Irishman is Mr Dependable at Tynecastle. With a potential Scottish Cup final on the horizon his return is pined for due to the quality and consistency of his displays at right-back. A player whose presence is emphasised when he isn’t there. Not only has Smith excelled at right-back, he has also proven himself as an accomplished option at centre-back in the middle of a back three. His reading of the game complements his team-mates, stepping in to eradicate any danger. Another whose contract extension was welcomed. A revelation. Fans didn’t expect too much from the Austrian, after all he was signed from the second tier in his homeland and as a centre-back to support both Souttar and Berra. Within two games he was pushed into midfield and after a loose outing against Cowdenbeath he grew into the role becoming an all-action midfielder. In the final third he has popped up with goals but his best work his been done in the defensive and middle thirds. There are few players so adept at picking up on loose balls, breaking up play before the transition into attack. 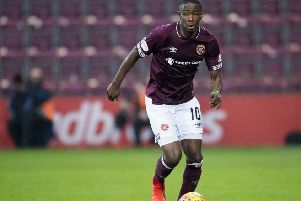 Slowly but surely the Cameroonian has put his case across for a contract extension which would get the backing of the vast majority of the Hearts support. The midfielder has refound the form prior to his African Cup of Nations success and the injuries which have hampered him. Playing narrow on either flank or taking up a central role, Djoum has brought a thrust to the midfield. At a time when the team has lacked inspiration he has tried to take games by the scruff of the neck, digging in on the defensive side and driving forward. Put in one of his best displays for the club in the win over Hibs at Easter Road. Not much has to be said. 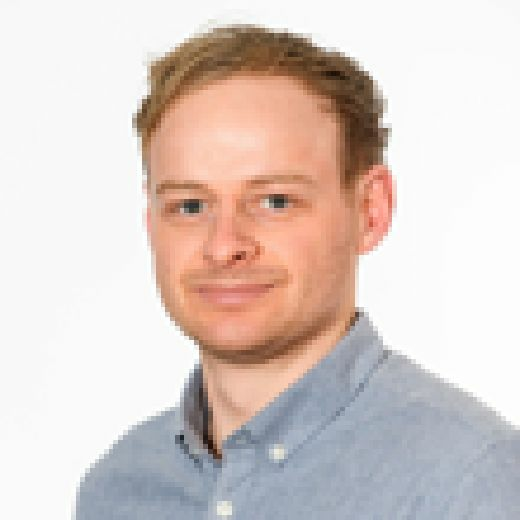 Fourteen goals in 27 appearances in all competitions but more than that Naismith is the leader, the conductor, the cheerleader, the motivational speaker, the referee, the on field coach. When he plays well, the team plays well. It is no coincidence that Hearts’ season stalled when he sustained a serious injury against Celtic in the Betfred Cup semi final. 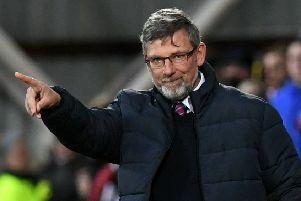 Of the fourteen games he has missed this season Hearts have won just four times - against Cove Rangers, Partick Thistle, Motherwell and Dundee.